Get practical training to make your systems fast, resilient, and secure. Hi, do I get slides from Ian’s presentation? Thanks for participating, Rebeca! I know it’s a lot for three hours. All the materials I covered and more are available at https://container.training/ for further review. 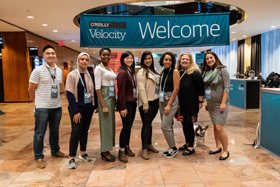 For 11 years, the O’Reilly Velocity Conference has been the training ground for systems engineers, software developers, and DevOps teams to learn the latest tools and techniques that keep them and their companies competitive and on the cutting-edge. Join Velocity's experts, industry leaders, and your peers to get practical knowledge that you can take back and apply immediately to your work. 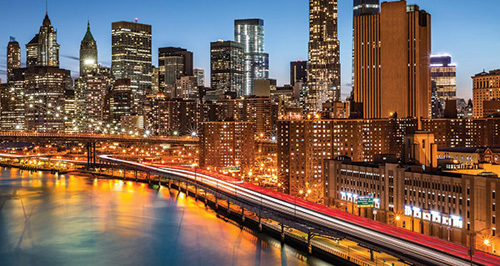 Through presentations, training courses, and hands-on tutorials, you'll learn how to create and manage the high-performance, resilient, secure systems that today's organizations rely on. Whether you're focused on performance, security, containers, automation, team building, monitoring, observability, or cloud-based infrastructure, you'll gain new insights and critical training at Velocity. Register now—because your systems aren't getting any less complex. Go beyond a single tool or technology: Velocity's vendor-neutral program covers technologies, frameworks, and methodologies to help you make informed decisions about the tools and processes you need for your day-to-day work. Do you build, maintain, network, and/or secure your container-based applications using Kubernetes? Hear valuable lessons learned along the way from expert developers and systems engineers at Cloud Computing Day with Kubernetes. Take part in Velocity's unique, in-person, two-day training courses led by expert practitioners. Courses take place September 30 - October 1 and are limited in size to offer a more personal learning experience and enhanced instructor interaction. 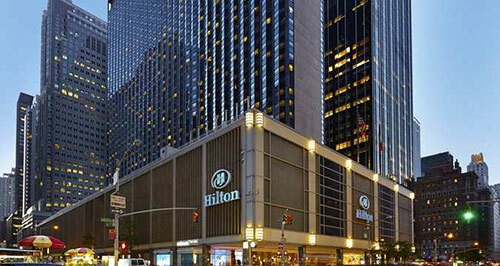 The conference will take place at the Hilton Midtown, a spectacular location just steps from Central Park, Times Square, MOMA, and world-class theater and shopping destinations.